用mpvue开发小程序的时候, 遇到了渲染层网络层错误, 公司静态资源配置了防盗链功能, 使用location.href看到的也是 127.0.0.1 的本地地址, 本以为把127.0.0.1加入防盗链的白名单就可以了, 结果还是报这个错误, 比较扯淡的是这个控制台还看不到真正的图片请求, 最后用 fiddler 抓了一下包, 才发现refresh居然是 https://servicewechat.com/wx7d3c7a42f044667b/devtools/page-frame.html, 最后把 servicewechat.com 加入防盗链白名单问题解决. 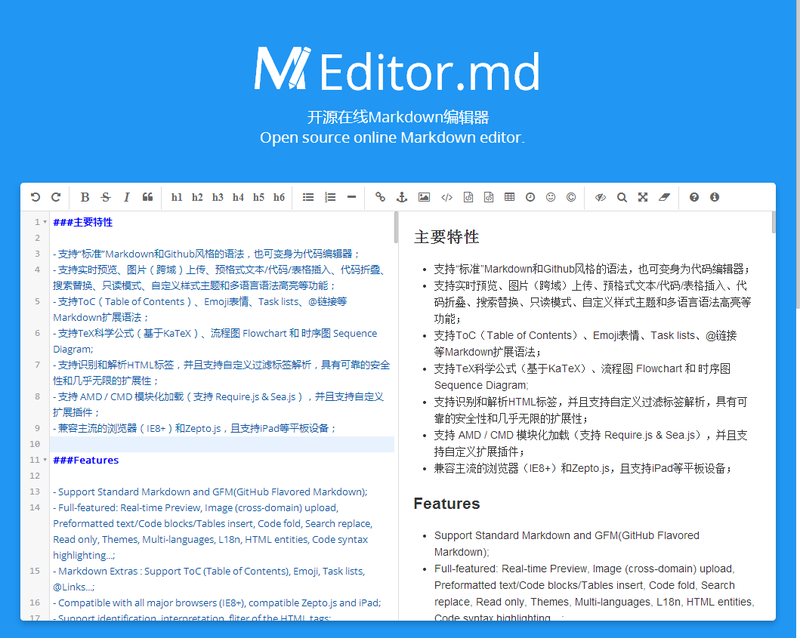 Editor.md : The open source embeddable online markdown editor (component), based on CodeMirror & jQuery & Marked. return false;    // serve the requested resource as-is. 前段时间学习angularjs, 里面的模板思想和实现方法很酷, 就心血来潮, 想实现一个php版的, 今天试着写了一下, 发现貌似可以, 具体看源码.